For a short time after the Parliamentarians took control of London there was little in the way of censorship, with a proliferation of pamphlets published broadcasting all kinds of opinion. From 1649 onwards Parliament began to enforce censorship of views to which they disagreed. One of the greatest English writers of the mid-17th century, John Milton, author of Paradise Lost, worked as a writer of propaganda for the republican government. The Society of Friends in Truth, or ‘Quakers’, evolved during the Commonwealth period under the leadership of the Leicestershire weaver George Fox who had begun preaching in 1647. Three years later sixty members were sent around the country to spread their message and were so successful in gaining new members in London that the capital was to eventually become the main centre of the Society. Jews had been absent from England since they were expelled by Edward I in 1290. When twenty arrived in 1656, declaring themselves as refugees from the Spanish Inquisition and as asylum-seekers from torture by Catholics, it was difficult for the government to refuse them refuge. They were allowed to set up a synagogue at the house of Moses Athias in the City, at Creechurch Lane near Aldgate, and a burial ground in a former orchard at Mile End. Ironically, while different groups of Christians – Anglicans, Catholics and non-conformists – were at violent odds with each other, the small number of Jews in England in the mid-17th century managed to largely avoid persecution. They were the vanguard of much larger numbers that were to arrive later in the century. During the period from the 1620s to the 1640s Oliver Cromwell rose from being a Member of Parliament to military commander and finally leader of the country. When the Commonwealth republic was declared he was appointed as a member of its governing Council of State. Backed by the army, in 1653 Cromwell was appointed Lord Protector, becoming effectively head of the nation. Following a military campaign in Ireland he was plagued with malarial fevers and died at Whitehall Palace in September 1658. Cromwell had previously announced his son Richard as his successor but he did not have the authority of his father and was forced to resign after just eight months. As Parliament dissolved into chaos General George Monck, commander of the army in Scotland, marched his men south to restore order. There was rejoicing in London as Monck’s ‘Coldstream Guards’ arrived in the capital, with bonfires lit, church-bells rung and people able to openly drink for the first time in ten years. Elections brought a new Parliament that voted to restore the monarchy. In April 1660 Prince Charles, son of the executed King and living in the Low Countries, issued the Declaration of Breda in which he promised to honour parliamentary liberties and religious freedoms in Britain if he returned to take up the throne. 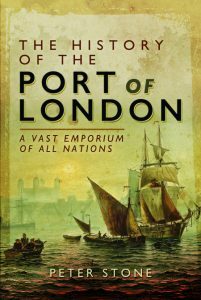 He landed at Dover, then onward by boat to London, entering the City across London Bridge on his thirtieth birthday of 29th May 1660. The leading Parliamentarians who had not already fled were rounded up and put on trial. Those remaining who had signed the death warrant of Charles I were hanged (at Charing Cross facing towards Whitehall), drawn and quartered. In December Parliament voted that the bodies of Oliver Cromwell as well as two other Parliamentarians and Cromwell’s mother should be exhumed from their graves at Westminster Abbey. In January 1661 their corpses were hung from the gallows at Tyburn, north of Hyde Park. Their decapitated heads were then exhibited on poles at Westminster Hall and their bodies buried below Tyburn’s gallows. After the Restoration of the monarchy a statue of Charles I was set up at the northern end of Whitehall where it remains to this day. A rebellion by Fifth Monarchist religious extremists in 1661 and unsuccessful plots to assassinate Charles convinced the majority of MPs that a crackdown on republicans and Dissenters was necessary. The Five Mile Act of 1665 prevented any non-Anglicans from preaching within that distance of the City and non-conformist schoolmasters to teach within that area. The result was that new Dissenter churches and schools were established outside London in villages such as Highgate, Hampstead, Stoke Newington, Chelsea and Fulham.